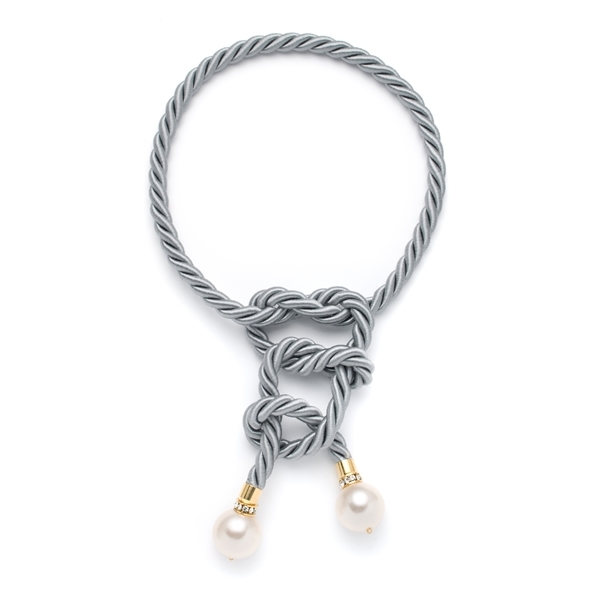 New in from London Designer Gemma Lister, this striking grey rope necklace makes a simple yet stunning statement! Made using silk rope, the ends are finished with gold caps featuring large diamante rondelles and two luscious pearls! Unique and versatile; this piece can be tied in several different ways, we've just given you one idea opposite. Perfect for day or night, this gorgeous necklace will allow you to create several different looks! 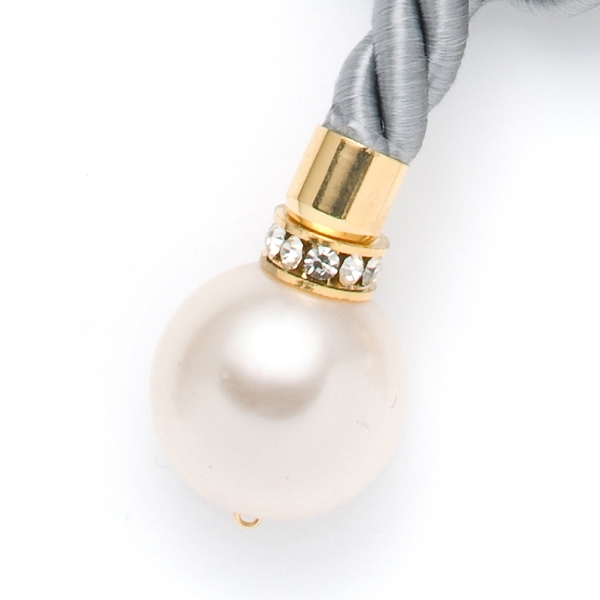 From end to end the necklace measures 160cm and the pearls are 3cm in diameter. 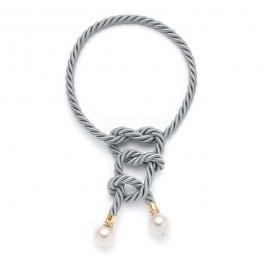 Match with the Silk Rope Pearl Cuff for a striking fashionable look. Instantly desirable, Gemma Lister's jewellery creates a stylish storm wherever it is seen. After training in fashion, Gemma decided that accessories were her destiny. ; While spending the last few years working for a top international handbag designer, she has also made her own jewellery, which she has sold on a bespoke basis to a range of clients. Having had a huge hit with her charming 'Horse Earrings,' which were featured in National and International publications and on T.V, she decided to take her talent for making fabulous jewellery to the next level. Working with a range of materials, Gemma Lister's pieces evoke the past but are unmistakably modern.